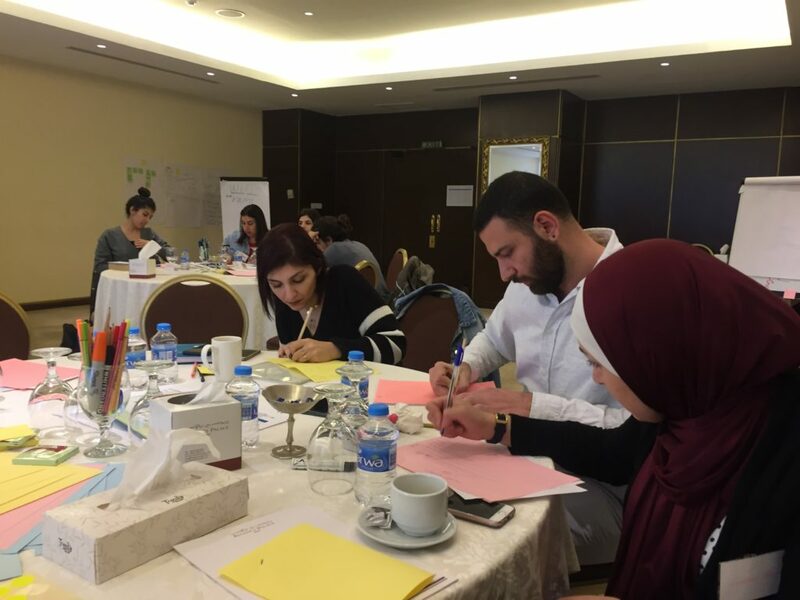 March saw the GirlSPARKS team host its first regional training for programme teams based in the Middle East. 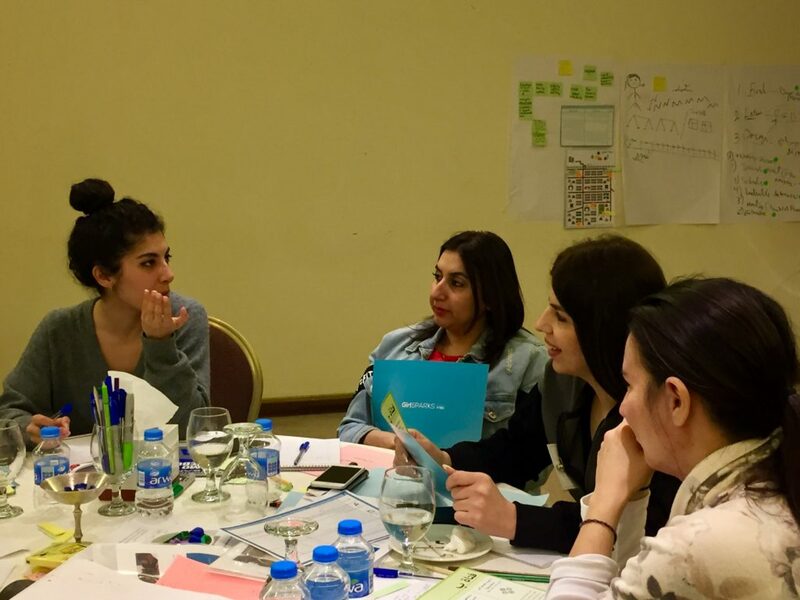 Participants from Iraq, Jordan, Lebanon and Syria came together to explore the tools and approaches behind Girl-Centred Design and share their experiences of programming for girls in humanitarian and development contexts. 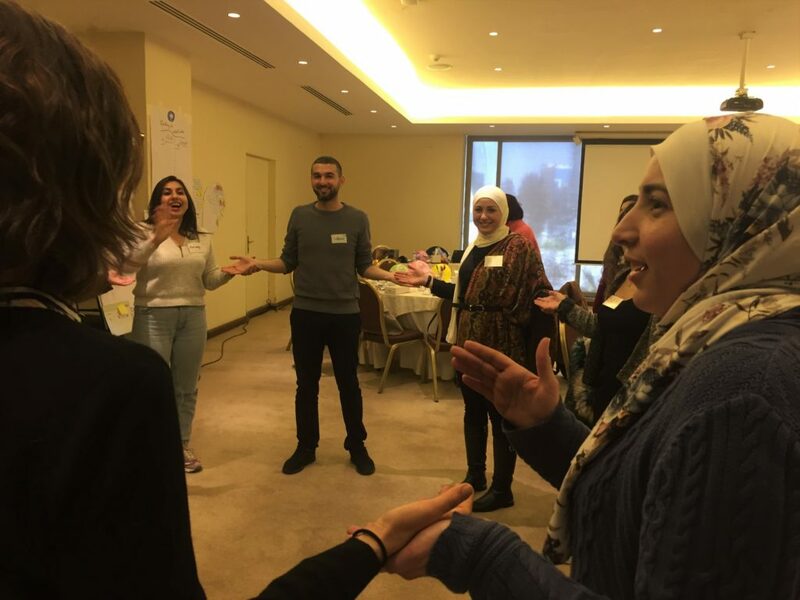 The three-day training was led by GirlSPARKS trainers Mohammed Munibbari, Saif Atari and Joseph Baker, with Ayah Al-Oballi from Mercy Corps’ Regional Center for Adolescent Girls co-facilitating and sharing her experiences of designing projects with adolescent girls. 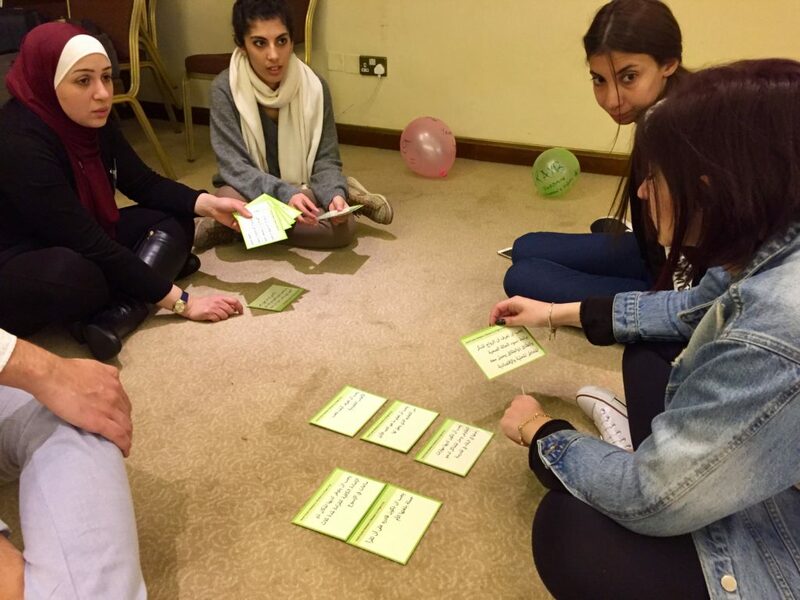 Through group work, role play, presentation and individual reflection, participants developed the skills to design safer and more inclusive projects for adolescent girls. 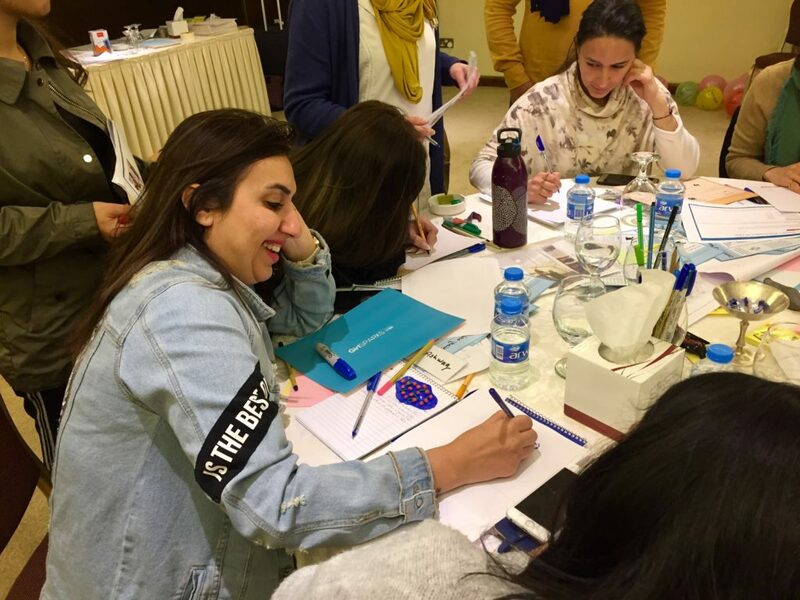 While the training methodology followed that of our previous workshops, this regional training was the first time that GirlSPARKS’ curriculum has been deployed in Arabic. Feedback has been highly positive, with participants praising “activities that make learning easier and enjoyable, a lot of discussions and experience sharing”. On the final day of the training, groups designed prototypes of their interventions and services for adolescent girls, before pitching them to the rest of the participants and iterating their ideas. One group deserves special mention for creating a video as part of their prototype (we will wait to see if that becomes publicly available!). A huge thank you to all participants for your engagement and feedback!